Product Detail Summary: Shortly after the defeat of Majin Buu, Bills, the God of Destruction, awakens after a long slumber. After hearing rumors of a Saiyan warrior who defeated Frieza, he tracks down that warrior, Son Goku. Excited at the prospect of a new challenge, Goku face him in battle, only to be quickly overwhelmed by his power. Realizing the threat Bills poses to the entire universe, Goku and his friends myust find a way to stop him before it's too late! 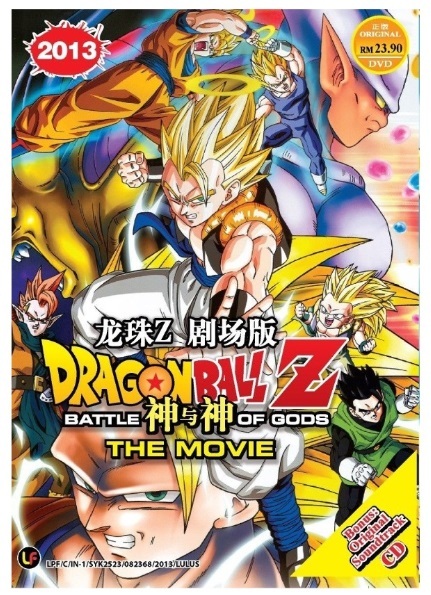 Currently, only importation will secure the English subtitled DragonBall Z Battle of the Gods DVD. These versions are CONFIRMED to be officially licensed, brand-new non-pirated versions and will arrive sealed in factory sealed packaging. Beware of pirated, low quality versions!